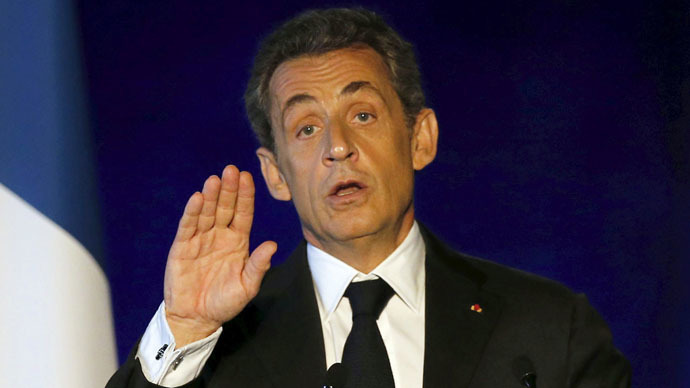 Regarding Crimea’s choice to secede from Ukraine when the country was in the midst of political turmoil, Sarkozy noted that the residents of the peninsula cannot be accused for doing so. In March 2014 over 96 percent of Crimea’s residents – the majority of whom are ethnic Russians – voted to secede from Ukraine to reunify with Russia. The decision was prompted by a massive uprising in Ukraine, that led to the ouster of its democratically elected government, and the fact that the first bills approved by the new Kiev authorities were infringing the rights of ethnic Russians. While the West has been criticizing Russia’s stance on Crimea, the Russian Foreign Minister said on Saturday that the peninsula’s residents had the right to “self-determination” citing the March referendum. He gave the example of Kosovo, which despite not holding a referendum, was allowed to leave Serbia and create its own state. On Saturday, French President Francois Hollande called for broader autonomy for the eastern Ukrainian regions of Donetsk and Lugansk. They need “rather strong” autonomy from Kiev, he said speaking on France 2 TV. The comment comes after Hollande together with German Chancellor Angela Merkel visited Kiev and Moscow this week for talks on the resolution of the Ukrainian conflict, that has escalated in January.